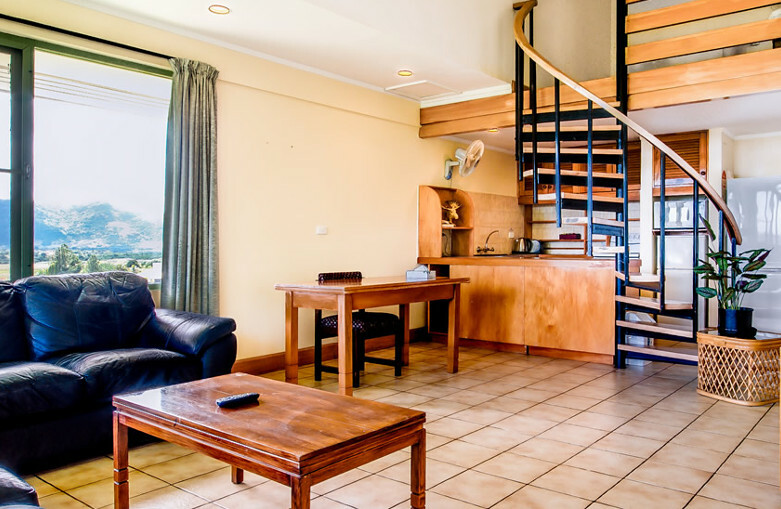 Tanoa Apartments offers affordable accommodation, and an ideal base for extended stays for families and executives. Recreation and business travellers can choose to stay in one of the 23 serviced units that make up the complex. Guests can enjoy a lovely pool area overlooking the gardens of the Tanoa Apartments complex as well as a tennis court. Just a 6-minute walk from New World IGA Supermarket Votualevu Nadi and the nearest restaurant, Tanoa Apartments offers an outdoor pool, tennis courts and a free airport shuttle service. Tanoa Apartments are in a quiet location just a 5-minute drive from Nadi International Airport and the nearest town, Namaka. It is an 8-minute drive from Garden of the Sleeping Giant. Guests can relax in their private apartment and enjoy both garden and mountain views. There is a fully equipped kitchen, a dining area and a bathroom with free toiletries, a hairdryer and a shower. You can use the barbecue facilities in the communal garden area and enjoy your meal on the sun terrace.